Marissa and Jeff's wedding in Ephraim, Wisconsin was an intimate affair. 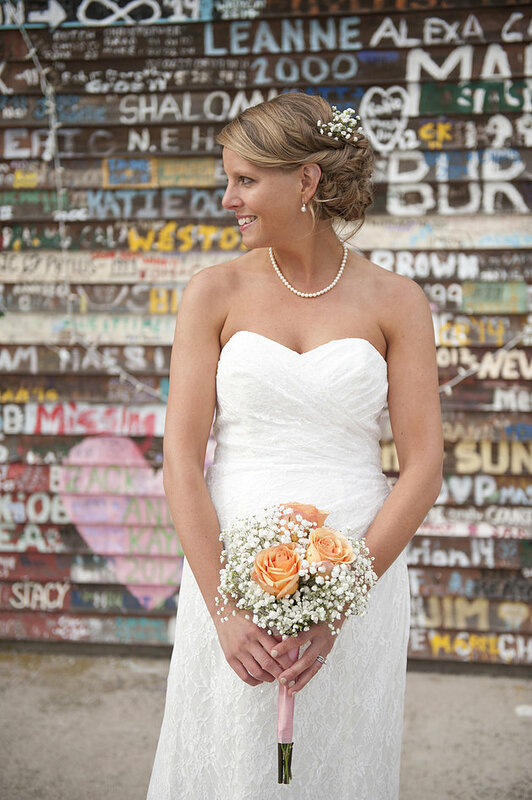 They said their vows at Anderson's Dock with they're loved ones surrounding them. The light was warm and golden, but the wind had everyone snuggling close to one another. 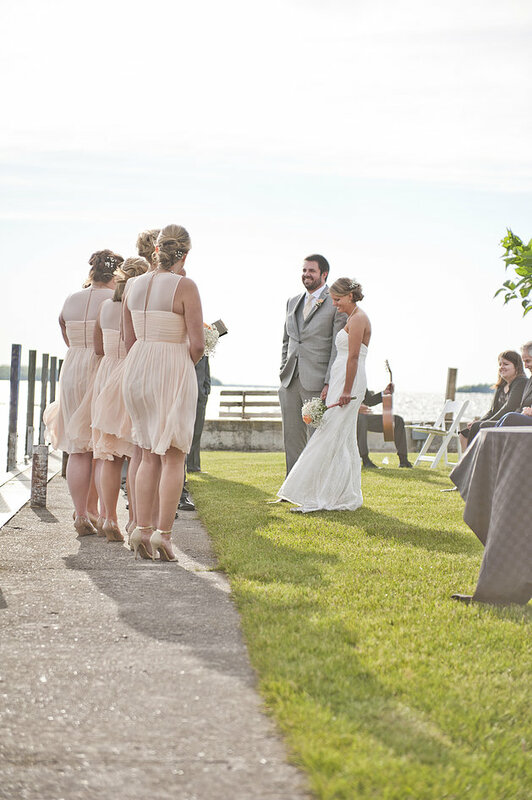 The signature Door County Trolley transported the bridal party and guests to the reception at Harbor Fish Market and Grille in Bailey's Harbor. A Bloody Mary bar awaited thirsty guests at the Scrabble-themed reception. Marissa had grown up playing Scrabble, a tradition she continues with Jeff. Anyone who spends a few moments with Marissa and Jeff can see how much they adore each other. Their infectious energy brightens everyone around them, and one can't help but be drawn in to them. They treat everyone they meet as if they're old friends, and their desire to see those around them be happy is incredibly endearing. I say this having experienced it first-hand on their wedding day. Marissa and Jeff, Tyler and I are so incredibly honored to have been able to capture your special moments, but we are so lucky you let us into your hearts. We are so thankful our paths crossed with yours. Cheers to your everlasting love and all the adventures that await you! 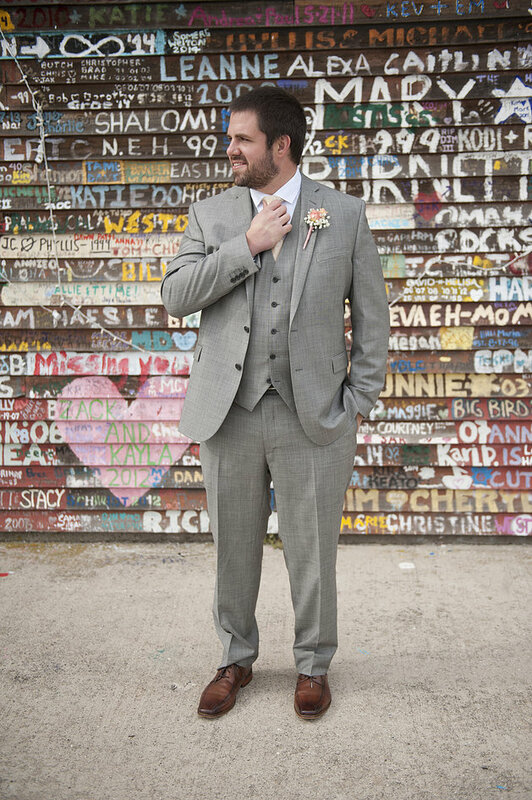 Marissa was stunning in her David's Bridal gown, and Jeff was equally dapper in his suit. They stopped at Wilson's Restaurant to share a root beer float. Wilson's has been a landmark in Ephraim for over 100 years, and Marissa and Jeff never miss a chance to stop. They found a few quiet moments before their wedding to enjoy each other's company. These two are stunning, inside and out. They surrounded themselves with the ones that bring out the best in them. This group had the bride and groom laughing all day, and these gems made sure the happy couple was feeling their best. 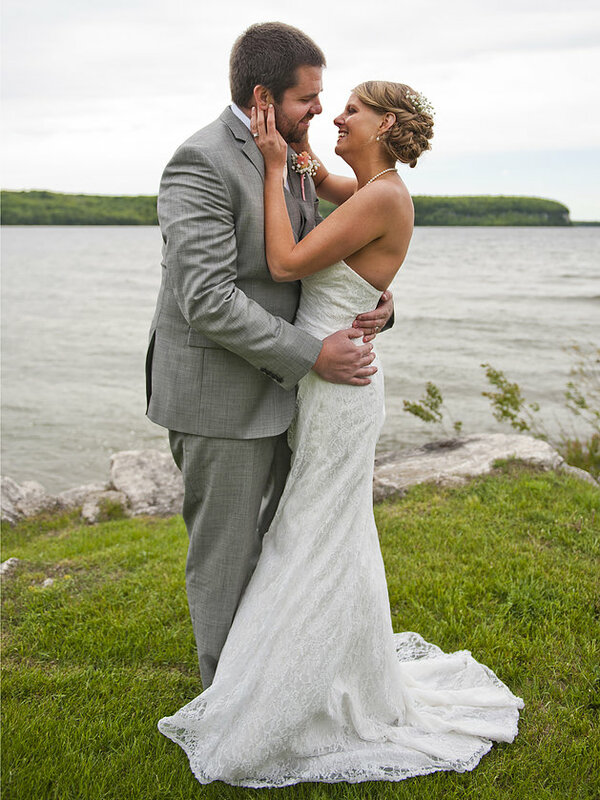 Anderson's Dock in Ephraim, WI provided a colorful backdrop not only for their portraits, but for Marissa and Jeff's intimate ceremony. The flowers were provided by Jerry's Flowers out of Sister Bay. Who doesn't love roses and baby's breath bouquets and boutonnieres? 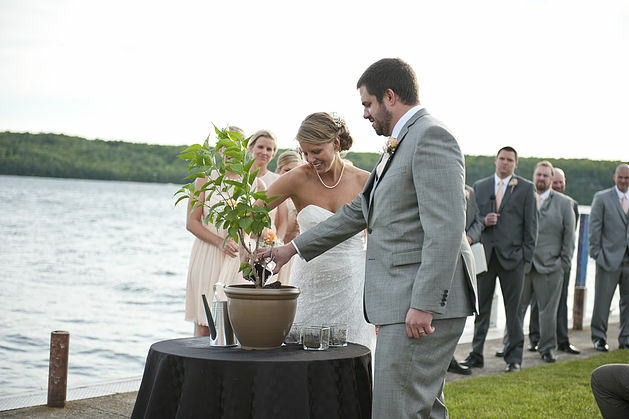 Marissa and Jeff planted a tree together for their unity ceremony. They used dirt from their childhood homes, as well as soil from the spot of their ceremony at Anderson's Dock. 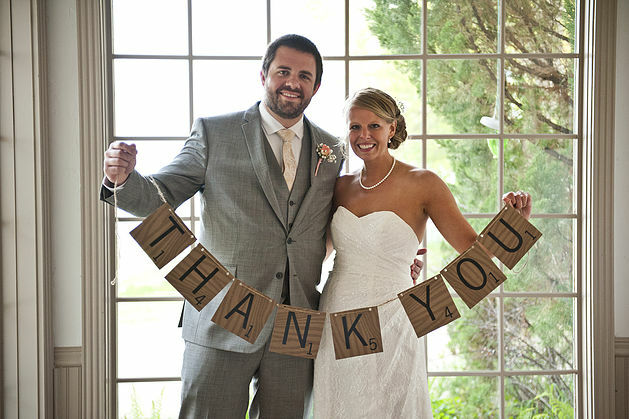 The Scrabble theme was carried throughout the reception, a nod to the board game Marissa played growing up. A wedding should be a reflection of the people in it, and a starting point for an even greater marriage. Marissa and Jeff emphasized who and what was important to them on their special day, and we were so thrilled to "B" a part of it. Although it doesn't do enough justice, Tyler and I can only say "thank you". You two were so wonderful to be around, and we really can't thank you enough.